Imagine being able to set your smartphone down on a wireless charging pad and have it back up to 50 percent in just 30 minutes. That type of capability may be possible thanks to an innovation announced by LG Innotek. 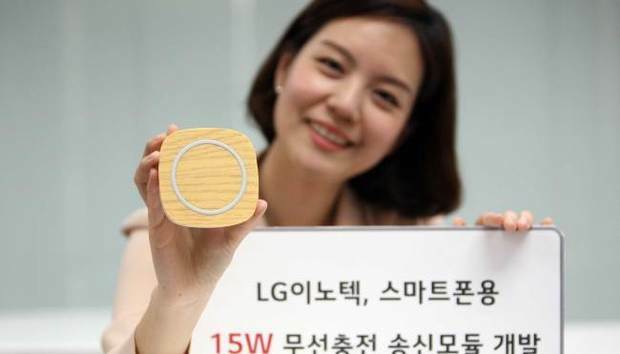 The LG subsidiary says it’s developed a 15-watt wireless charging module, which is three times faster than the current five-watt wireless solutions. LG Innotek says the development product follows the standards set forth by the World Wireless Power Consortium and AirFuel Alliance, which ensure that it will be compatible with all supported smartphones. Wireless charging always loses some efficiency compared to a wired charge so it’s unlikely that this will catch up fully to the plug-in model, but much faster charging would definitely be an excellent feature. Why this matters: This sounds like just the match we need for our smartphone addictions. Once you’ve ever used wireless charging, it’s hard to imagine going back to anything else. This new research probably won’t make its way into any phones this year, but perhaps LG and other devices will get a whole lot faster when they perform wireless charging in the near future.